Orchestrating a long-distance move is like assembling a complex puzzle – where even the smallest and most intricate pieces must fit into place. It’s all about logistics and timing, and the White Glove Moving & Storage team are masters. For almost 30 years, we’ve moved clients in New Jersey and New York up and away to their new states of residence. While we’re sorry to see them go, we enjoy knowing that our experience, expertise and professionalism allows both households and businesses to move without any of the normal stress, confusion or chaos that can overshadow the long distance moving process. White Glove moving staff understand that moving far away from your home state isn’t an easy thing to do, but we’ve made it a practice to treat clients like family – and nobody experiences that level of commitment more than our long-distance moving clients. We never contract our services out to others, so we can personally guarantee safe delivery of your possessions and precious belongings, from door-to-door. 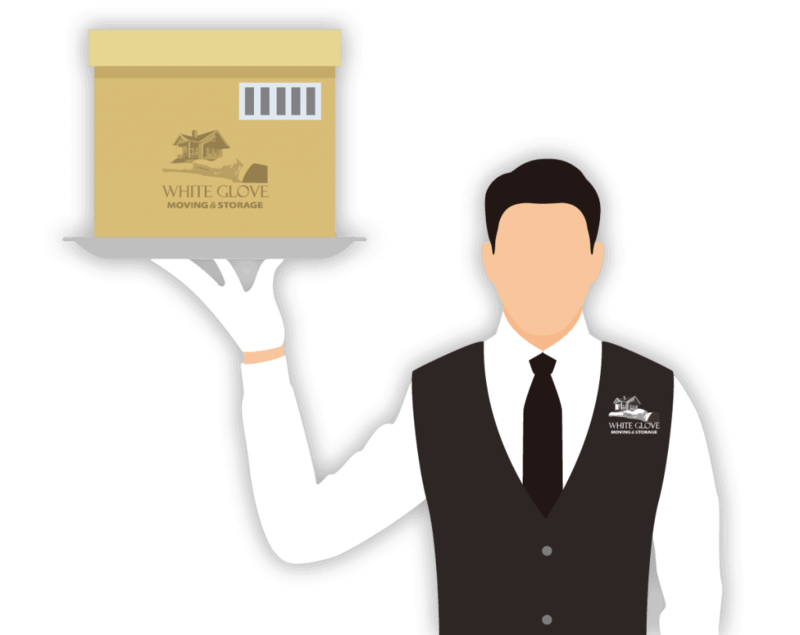 Contact White Glove Moving and we’ll connect you with one of our estimators to discuss your upcoming move. We provide free, in-home consultations and, assuming your plans remain the same, the price we quote is fixed – you never have to worry about surprise fees or mystery add-ons when you receive your final long distance moving bill. After more than 25 successful years in the moving business, White Glove Moving is proud to be one of the largest, independent moving companies in this part of the nation. Our reputation for facilitating smooth, organized and stress-free moves – for both home and business – owners is the foundation of our successful business model. We’re experts at looking at a home or business and determining exactly what’s required – and how long it will take – to pack, load and move. This is why the in-home survey is so important, and it’s the reason why – unlike other moving companies – our long-distance moving quotes are firm. Discuss your timeline for the move. Go over your biggest fears, worries and/or concerns about the moving process so we can put those to rest. Review our moving services list – including our multi-tier packing services, so you can do as much or as little packing as you like. We can even pack and unpack your home for you, so your daily routine remains the same for as long as possible. Review packing materials needs, which we’re happy to deliver right to your door – including boxes, packing materials, specialty boxes, pacing tape, crates and more. Itemize furniture, antiques, art and collectibles and go over any specialty items that may require more special handling or shipping services. Leave you with a firm packing estimate, something that sets us apart from our competitors, who are more apt to bid low and then tack-on miscellaneous charges on the final bill. Discuss any additional logistics or services that might be required along the way, including temporary or long-term storage of all, or part, of your belongings as you get settled into your new home or business. We are an honest, hardworking team that has grown from a single moving truck in Brooklyn, to a professional fleet of top-of-the-line moving trucks and a trained team of more than 200, caring individuals.  We invite you to visit our online reviews and client testimonials because they’re proof of White Glove’s commitment to customer service and satisfaction. Provide a free, in-home survey and work on a plan to sync our movements to yours. Pack and unpack your home, which is a custom for military families. Your job is to get your bearings and start making yourself at home in your new community. Provide you with the weight-based estimates the military requires. Arrange all bill and payment processing with through the branch of the military you are in. Our goal is to provide a streamlined and stress-free moving process for military members and their families, and we’ve been doing just that since 1998. While we can’t remove the jitters associated with leaving a place you’ve known, and starting out somewhere new – we can put all of your worries to rest when it comes to the actual moving process. Moving becomes stressful when things don’t go as planned. However, our multiple decades in the moving business means we’ve got you covered. The White Glove Moving team are experts at logistics. We plan, schedule, pack, load and move, unload and unpack on a daily basis, so you can count on us. Contact White Glove Moving online or give us a call and let’s get your stress-free, long-distance move on the road. 1-800-340-1911. 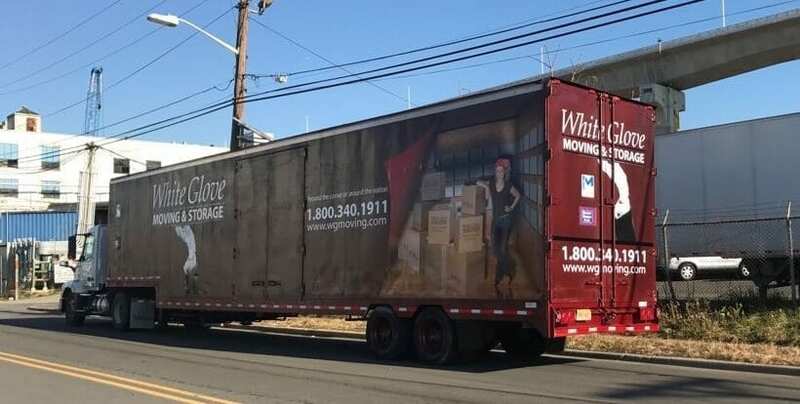 Contact us here at White Glove Moving & Storage to discuss your upcoming move in or around New Jersey. We’ll be happy to provide an estimate for you and discuss our full-service moving menu options. 1-800-340-1911. We can relocate customers to any location in the continental US. Not just NJ & NY. Contact us about your move.